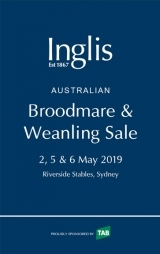 A total of 619 entries – 257 weanlings, 361 broodmares and a share in Sizzling - have been catalogued for the Australian Broodmare and Weanling Sale, which will book-end the Chairman’s Sale. 35 Withdrawn Lots - last withdrawal at 1:49 pm, 24th Apr 2019. Reef Bug (2016.f. by Hinchinbrook-Junebug, by Shovhog-Light Me Up). 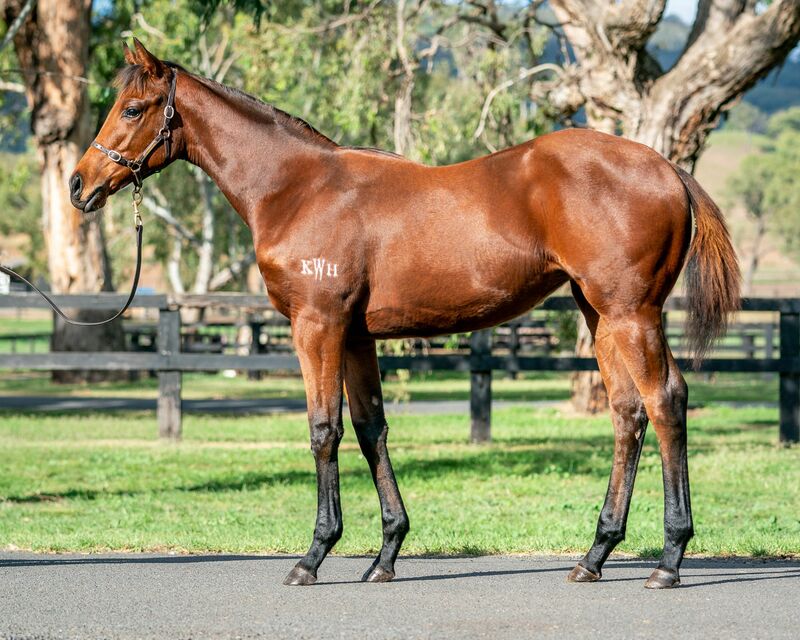 2019-04-10 1st Ipswich TC (Ipswich) Go Racing at Ipswichturfclub Maiden 2YO P.
Taj Mahal - Fortune Booth (H.K.) (2013.g. by More Than Ready-Gunawati, by Galileo-One World). 2019-04-22 1st HKJC Peacock H.
Lady Mironton (2014.f. by Al Maher-Celtic Bloom, by Celtic Swing-Plume Tree). 2019-04-18 1st Albury RC Commercial Club Albury H.
Fiery Zone (2015.f. 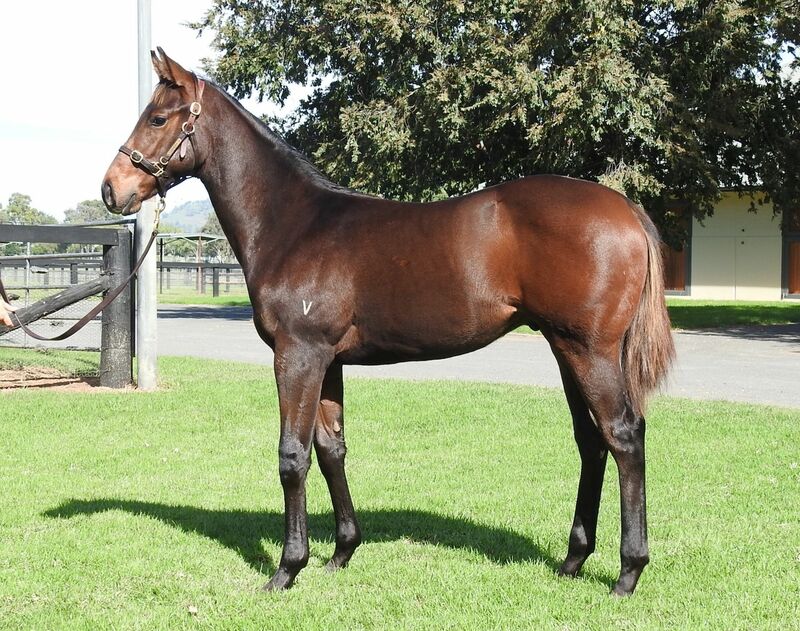 by Eurozone-Kawakawa, by Flying Spur-Clevedon). 2019-04-12 3rd Orange JC Nagle Transport Maiden P.
Hurricane Jack (2013.g. by Snitzel-Kinder, by Hurricane Sky-Lamellar). 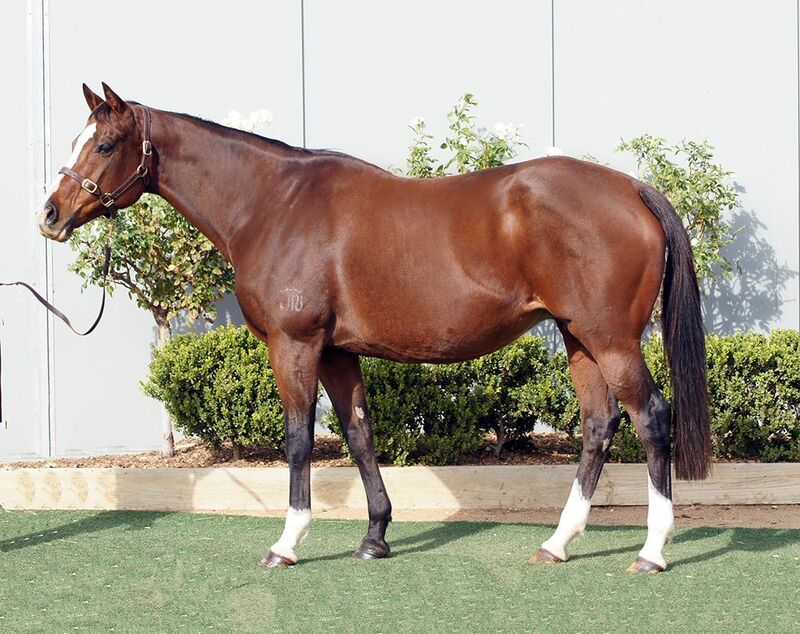 2019-03-23 1st Ardlethan PRC FG Collis Memorial H.
2019-04-05 2nd Benalla RC Bet365 Price Guarantee H.
Sparkling Facet (2014.f. by Savabeel-Quest for Quality, by Elusive Quality-Rosnaree). 2019-03-23 1st GCTC (GCTC) Durack Tavern Maiden P.
Estremoz (2016.c. by Gale Force Ten-Ocean Bluff, by Dalakhani-Karaliyfa). LIL MISS SWISS (2013.f. 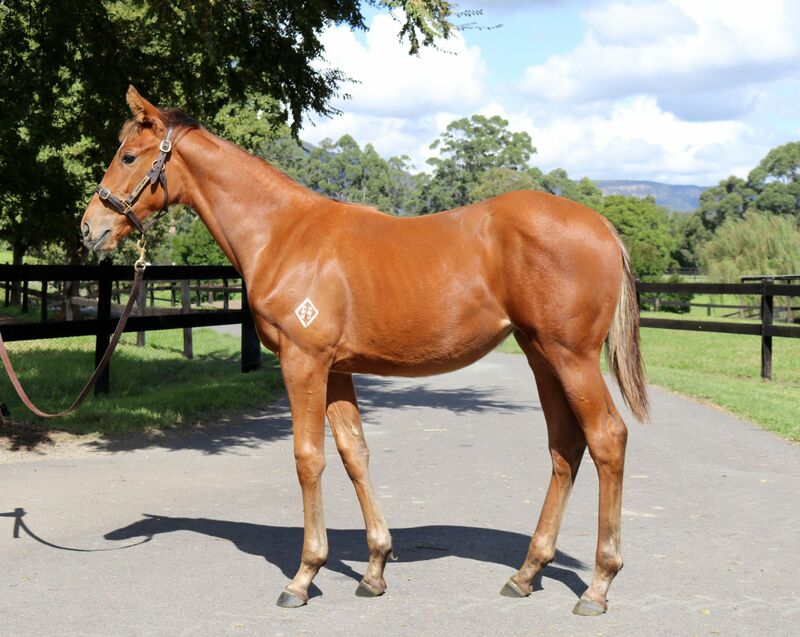 by Rip Van Winkle-Miss Swiss, by Flying Spur-Zebizan). 2019-04-11 1st Otago RC See Ya at Wingatui 24th May H.
Dreamed (2015.f. by Dream Ahead-Abazan, by Anabaa-Zebizan). Bayroot (2016.c. by Exceed and Excel-Alwarga, by Street Sense-Sheroog). SHAMAN (2016.c. by Shamardal-Only Green, by Green Desert-Only Seule). Light Charge (2015.f. by Charge Forward-Lightly Dusted, by Gilded Time-By the Light). 2019-04-16 1st Hawkesbury RC Sky Racing Maiden H.
Nicconi Poni (2014.f. by Nicconi-World Guide, by Defensive Play-Lambert Miss). 2019-04-01 1st Murrumbidgee TC Ollie's Security H.
STEEL FROST (2012.g. by Bryannbo's Gift-Horshoe, by Commands-Romare). VOLPE VELOCE (2013.f. by Foxwedge-Bardego, by Barathea-Devil's Gold). Asharani (2015.f. by I Am Invincible-Fuji Dancer, by Fuji Kiseki-Dancer's Glory). 2019-04-09 1st Hawkesbury RC Mostyn Copper H.
2019-03-23 1st Illawarra TC HLB Mann Judd and Makinson d'Apice Lawyers P.
Siam Vipasiri (2015.f. by Bernardini-Danza Doll, by Dehere-Fuji Dancer). Quackerjack (2015.g. by Not a Single Doubt-Quack It, by Ustinov-Quack). 2019-04-03 1st ATC (Kensington) Australian Turf Club H.
MER ET NUAGES (2015.c. by Lope de Vega-Mahnaz, by Dansili-Minaccia). The Atheist (2015.g. by Iffraaj-Miguelita, by Danehill-Nuryandra). 2019-03-28 1st Donald DRC Hotel Maiden P.
Mitrust (2014.g. by Trusting-Millie Rose, by Testa Rossa-Winter Sparkle). 2019-03-23 2nd MRC (Mornington) Keno Fun Money H.
BOOMWAA (2011.g. by Mutawaajid-Boom Boom Baby, by True Hero-Mahboobah). 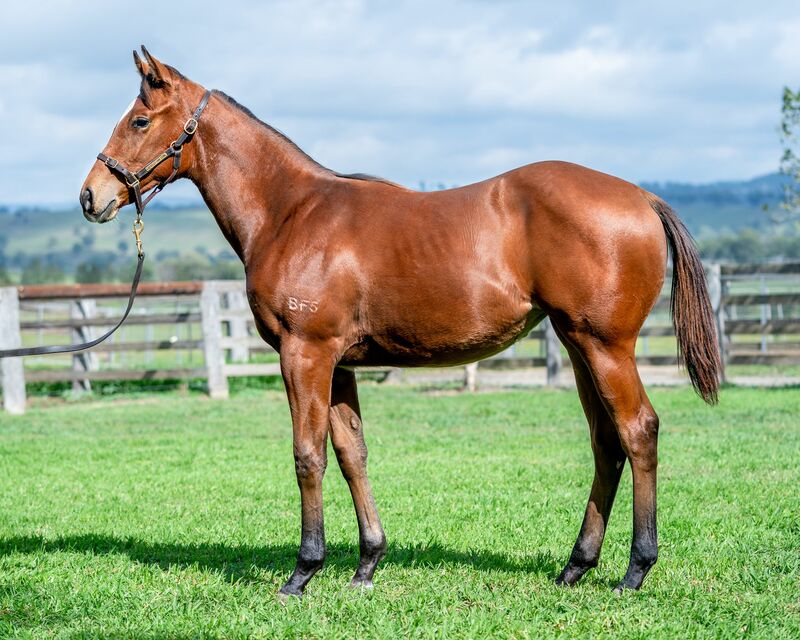 2019-04-21 1st SCTC (Doomben) Qld Safe Access Solutions H.
Miss Matilda (2014.f. by Domesday-Miss Chaski, by Gone West-Zelanda). 2019-03-27 1st Seymour RC Bar Landy Restaurant Maiden P.
Boulevardier (2014.c. by Street Boss-Mofajah, by Sadler's Wells-Barger). 2019-04-05 1st Cranbourne TC Mypunter.com Maiden P.
Eddystone Rock (2012.g. by Rock of Gibraltar-Bayberry, by Bering-Baya). 2019-04-05 1st Leicester Everards of Leicestershire H.
Shark Alley (2015.g. by Choisir-Morning Light, by Danehill-Fayfa). 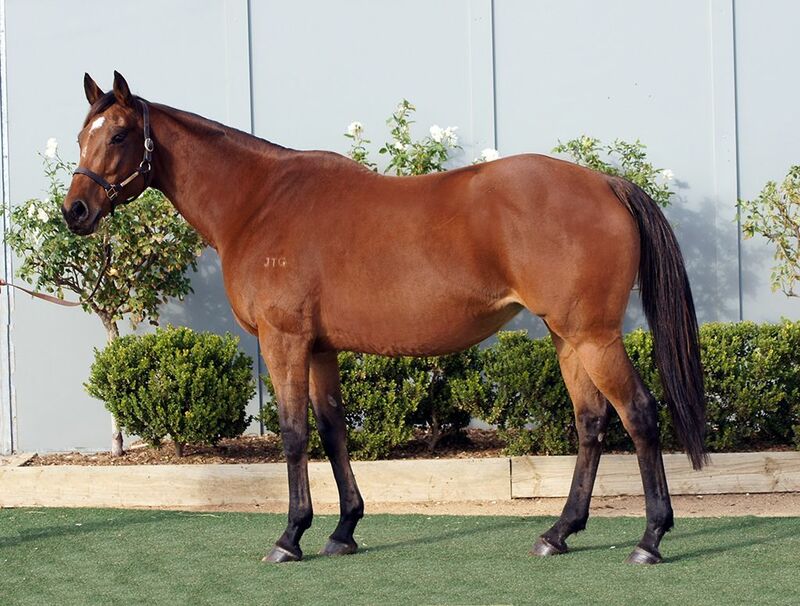 2019-03-30 2nd Wyong RC Keith Payne VC Hostel H.
CONTESSA VANESSA (2014.f. by Bullbars-Di Lusso, by Lonhro-Doduo). Bella Mente (2016.f. by El Roca-Joiya, by Stravinsky-Doduo). Momkin (2016.c. by Bated Breath-Contradict, by Raven's Pass-Acts of Grace). White Boots (2014.g. by Animal Kingdom-Princess Pedrille, by Desert Prince-Mamzelle Pedrille). 2019-04-10 1st ATC (Gosford) Turfcare Australia H.
Brill (2016.f. by Medaglia d'Oro-Hung the Moon, by Malibu Moon-Storm Breaking). Jenstar (2015.f. by High Chaparral-Tequila Knowledge, by Knowledge-Lequilla). 2019-04-04 1st Geelong RC Bet365 Price Guarantee Maiden Highweight H.
Our Declaration (2015.f. by Declaration of War-Operetta Lass, by Singspiel-Extra Bubbly). 2019-04-06 2nd TTC (Launceston) TAB H.
Testino (2016.g. by Shooting to Win-Oridane, by King of Danes-Orientation). 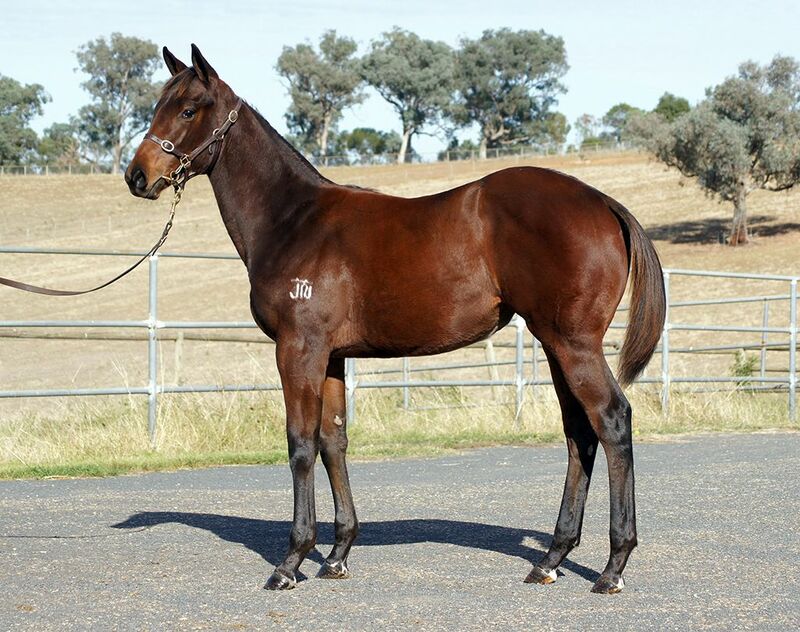 2019-04-07 3rd Echuca RC Hygain Maiden 2YO P.
The Fox Effect (2014.f. by Foxwedge-Our Miss Donovan, by Hussonet-Up the Hill). 2019-04-18 2nd Townsville TC Carlton United P.
CELEBRITY DREAM (2012.f. by Thorn Park-Valpolicella, by Red Ransom-Our Riesling). Rondinella (2014.f. by Ocean Park-Valpolicella, by Red Ransom-Our Riesling). To Your Health (2014.f. by So You Think-Reglisse, by Zabeel-Our Riesling). 2019-04-10 2nd ATC (Gosford) Bayer Exteris Stressgard H.
Exceed All Odds (2012.g. by Exceed and Excel-Peach Tree, by Bel Esprit-Georgia). 2019-03-23 3rd Dawson JC Riverina H.
Anse Lazio (2015.c. by Camelot-Port Elizabeth, by Danehill Dancer-Champaka). 2019-04-16 3rd Kenilworth Next Meeting Durbanville Saturday Maiden P.
Steel Prince (2014.g. by Nathaniel-Steel Princess, by Danehill-Champaka). 2019-04-13 1st MRC (Caulfield) Grunt Standing at Yulong H.
2019-03-23 1st MRC (Mornington) Keno Fun Money H.
Pushkar (2016.g. by Husson-Rajasthan, by Tiger Hill-Jadeite). 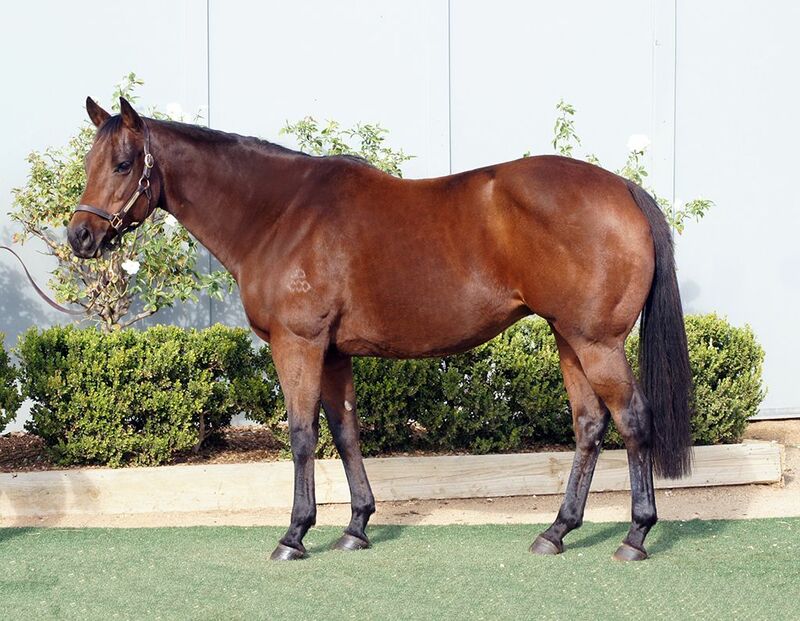 2019-04-14 3rd Murrumbidgee TC Magic Albert at Kooringal 2YO H.
Super Dynasty (2014.g. by Fastnet Rock-Sayuri San, by Fuji Kiseki-Felicitation). 2019-04-21 1st Singapore TC Class 4 H.
Caspian - Starkiller (Mac.) (2012.g. by Stratum-Earthsea, by Machiavellian-Or Vision). 2019-04-13 1st Macau Jacksonville H.
Hand on Heart (2015.f. by Mastercraftsman-Insight, by Sadler's Wells-Or Vision). FLIT (2016.f. 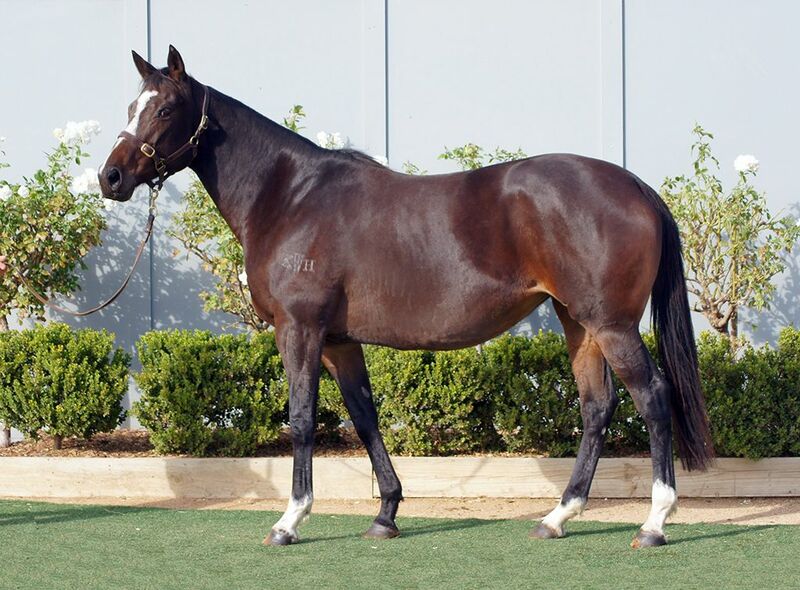 by Medaglia d'Oro-Glissade, by Redoute's Choice-Steflara). HEAVENHASMYNIKKI (2015.f. by Majestic Warrior-Floral Park, by Forest Wildcat-Floral Beauty). Paper Trade (2014.g. 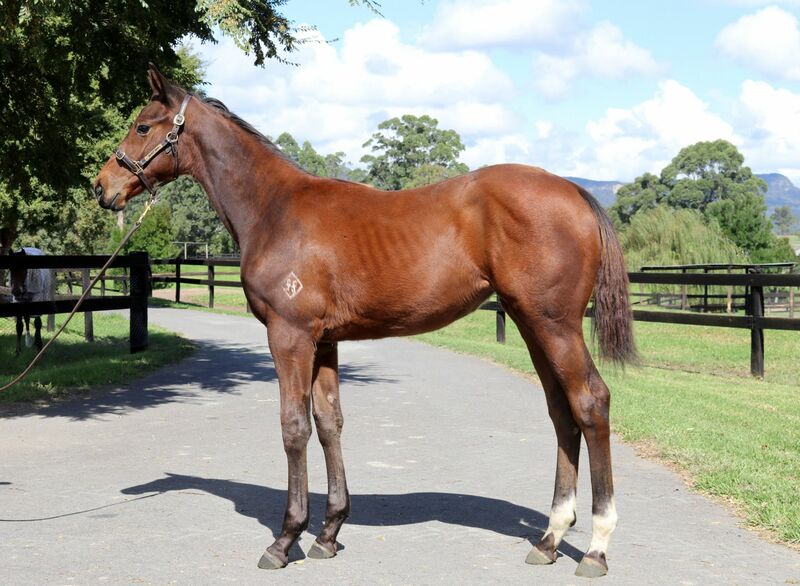 by Written Tycoon-Rose of Scotland, by Stratum-Ares de Lago). 2019-04-17 3rd Ipswich TC (Ipswich) Ipswich Cup Tix on Sale P.
Spin (2015.g. by I Am Invincible-Roulettes, by Flying Spur-Discretion). 2019-04-13 1st BRC (Eagle Farm) Artisan Carnival High Tea P.
SIR FRENCHIE (2014.c. by Choisir-Volando, by Viscount-Tactfully). SUB PRINCESS (2012.f. by Subordination-Princess Atta, by Sheikh Albadou-Ask Her to Stay). HIZIR (2015.c. 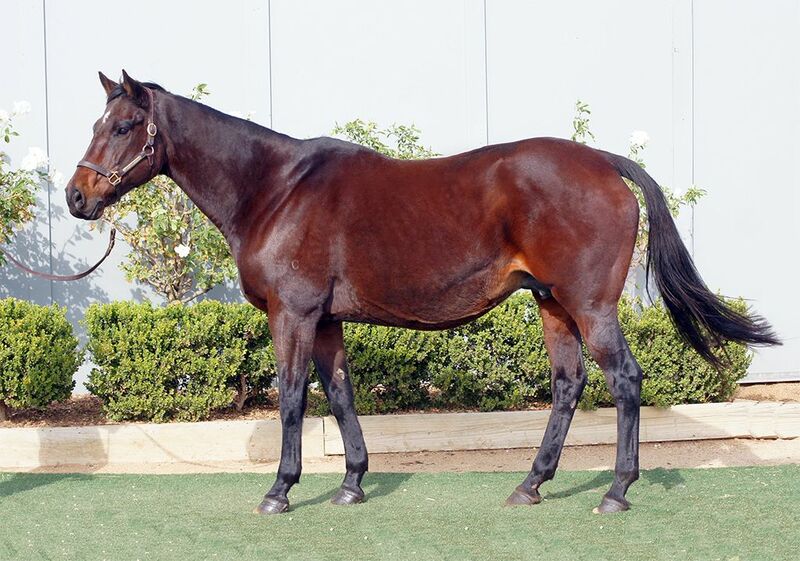 by Singe the Turf-Resbalosa, by Privately Held-Relancina). PAT'S NO FOOL (2016.f. by Cross Traffic-Dream Affair, by Touch Gold-Fleet Wahine). Numitor (2012.c. by Land of the Giants-Resbalosa, by Privately Held-Relancina). River Dance (2012.g. by Snitzel-Ready Miss, by More Than Ready-Madam Bligh). 2019-03-30 1st Perth Racing (Ascot) Seppelt Wines H.
Call Me Anything (2012.g. 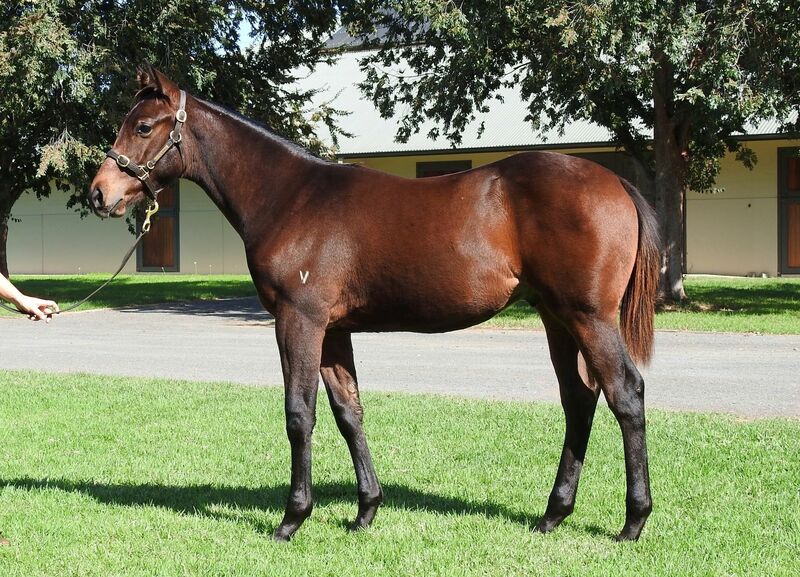 by Redoute's Choice-Regrowth, by Unbridled's Song-True Blonde). 2019-04-08 1st Mildura Holden and HSV H.
2019-04-20 1st Warracknabeal TC Pony Xpress H.
Human Nature (2016.c. by All Too Hard-Tiarazou, by Zizou-Tenant's Tiara). 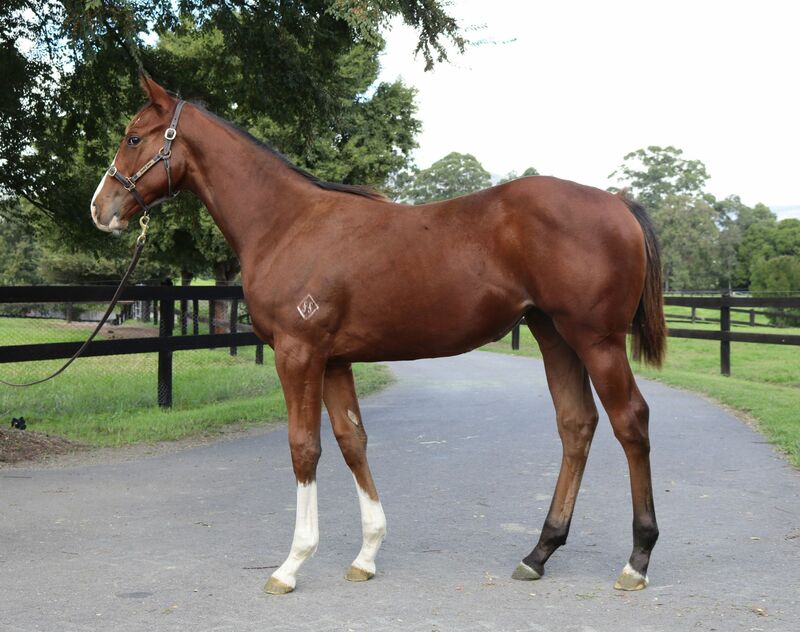 2019-04-22 1st ATC (Kensington) Easter Monday 2YO H.
All Cooped Up (2014.f. 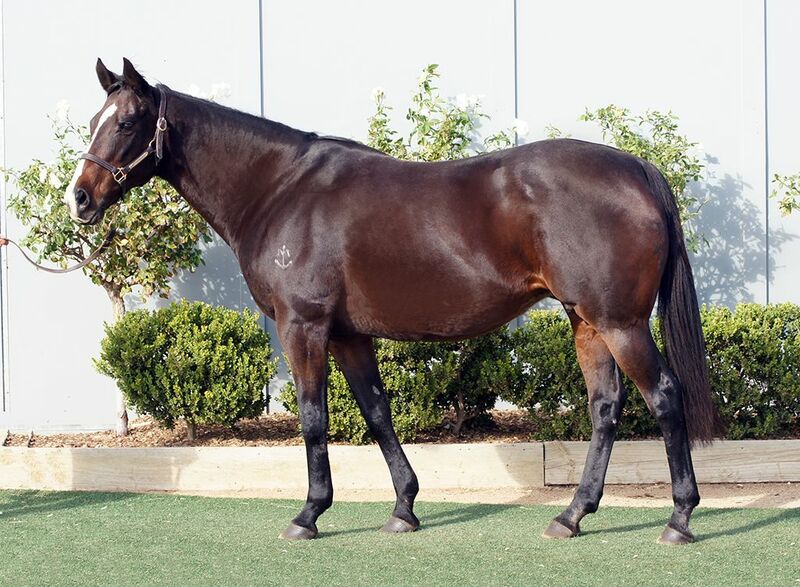 by Bel Esprit-Drop Anchor, by At Talaq-Marine Park). 2019-04-21 1st MRC (Mornington) Mornington Nissan Maiden P.
VINNIE EAGLE - MASSIVE MILLENNIUM (H.K.) (2011.g. 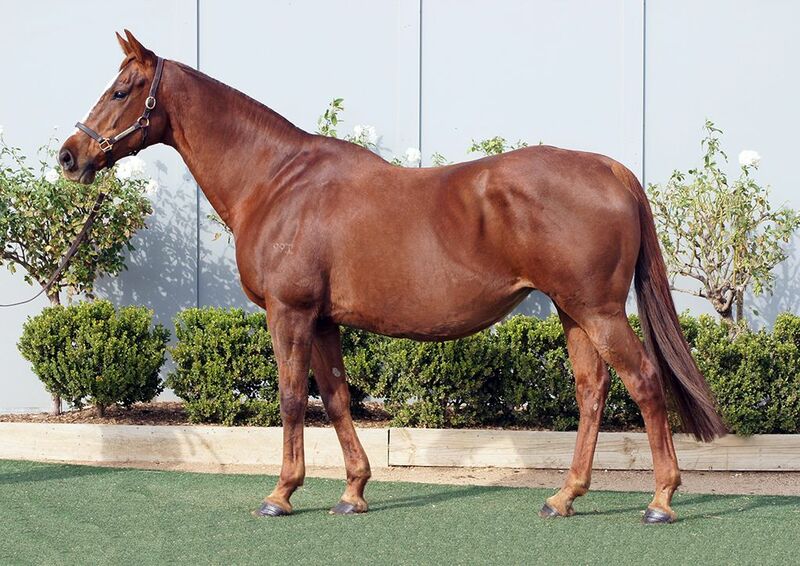 by I Am Invincible-Sweet Maggie, by Danehill Dancer-Royal Kiss). 2019-04-22 3rd HKJC Flamingo H.
Silent Roar (2014.f. by Street Cry-Zarita, by Pentire-Gin Player). 2019-03-27 1st MRC (Sandown) Our Lost Loved Ones H.
Nielson (2011.g. by Lonhro-Terrenora, by Encosta de Lago-Tattenora). 2019-04-03 1st TTC (Launceston) Easter Good Friday Fun H.
Snitzel Reign (2014.g. by Snitzel-Miss Rainmaker, by Hurricane Sky-Penniless). 2019-04-12 1st Port Macquarie RC All New BMW X7 Maiden P.
Maria Elisa (2014.f. by Denman-Via, by Southern Halo-Teocratica). 2019-03-30 1st Warren DJC Nevertire Hotel H.
Run Pam Run (2014.f. by Sepoy-Napa Sky, by Stravinsky-Tricia Ann). 2019-03-26 1st Geelong RC IGA Liquor H.
Al Ma Belle (2015.f. 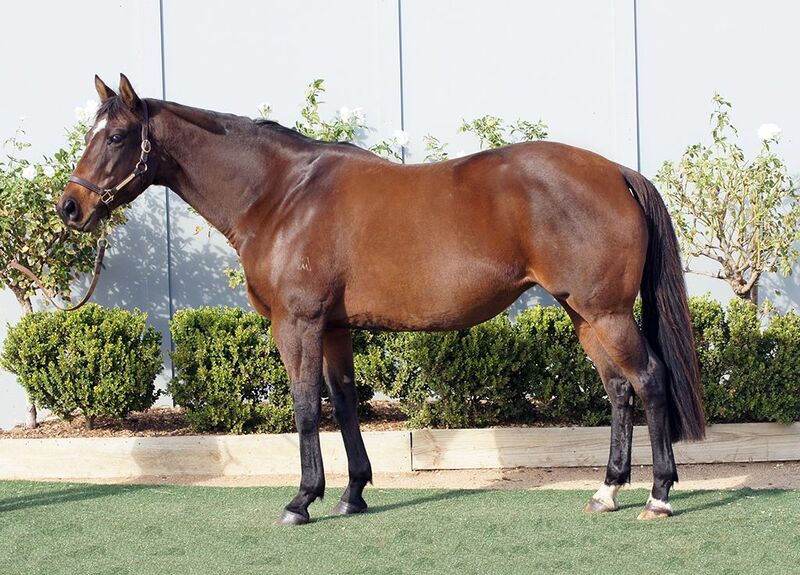 by Al Maher-What a Beauty, by Octagonal-Bloodline). 2019-04-08 3rd Mildura RC Racing Photos Maiden P.
2019-04-01 3rd Hamilton RC Taylor Motors H.
Churning (2015.f. 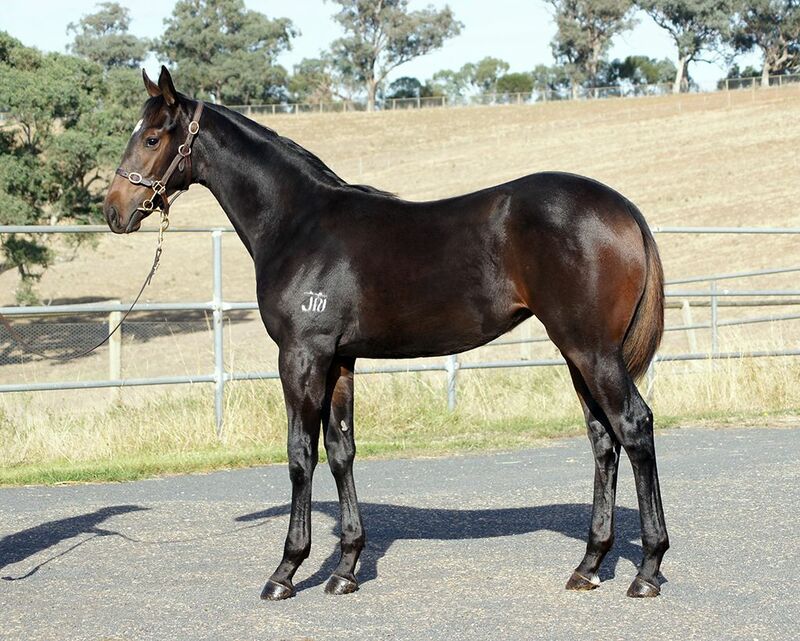 by Lonhro-Emmalene, by Jet Spur-Emmabee). 2019-04-17 1st Ipswich TC (Ipswich) Ipswich Cup Tix on Sale P.
Le Boss (2012.g. by Street Boss-Zachelle, by Zabeel-Julie's Sailboat). 2019-04-12 3rd Orange JC On-Trac Ag H.
Hollywood Critic (2012.g. by Blame-Kalosca, by Kaldoun-Shangrila). Shadow Empire (2012.g. by Dane Shadow-Really Flying, by Real Quiet-Alto Flyer). 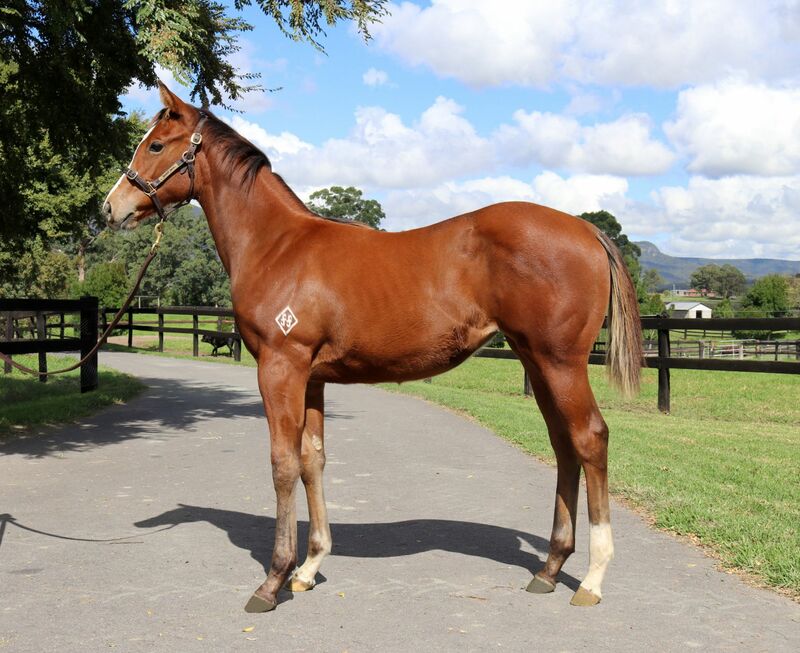 2019-04-13 1st Kilcoy RC Searles P.
Dynamisante (2015.f. by The Factor-Allabout Glory, by Beautiful Crown-Endless Wonder). 2019-03-29 1st Ipswich TC (Ipswich) Cup Tix on Sale H.
2019-04-13 2nd Toowoomba TC Dolley Concreting P.
Hearty Lass (2016.f. by Wandjina-Amazing Tale, by Tale of the Cat-Svea Dahl). 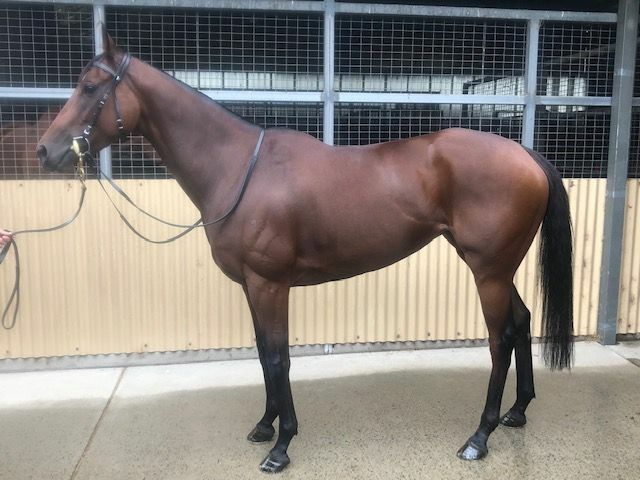 2019-04-06 1st SAJC (Morphettville) David Ward's 50th 2YO H.
Coby Oppa (2015.g. by The Factor-Amazing Tale, by Tale of the Cat-Svea Dahl). 2019-04-03 2nd HKJC Hin Yiu H.
YOURDEEL (2016.g. by Dundeel-Miss Zapper, by Red Ransom-Volted In). LABURNUM (2015.f. 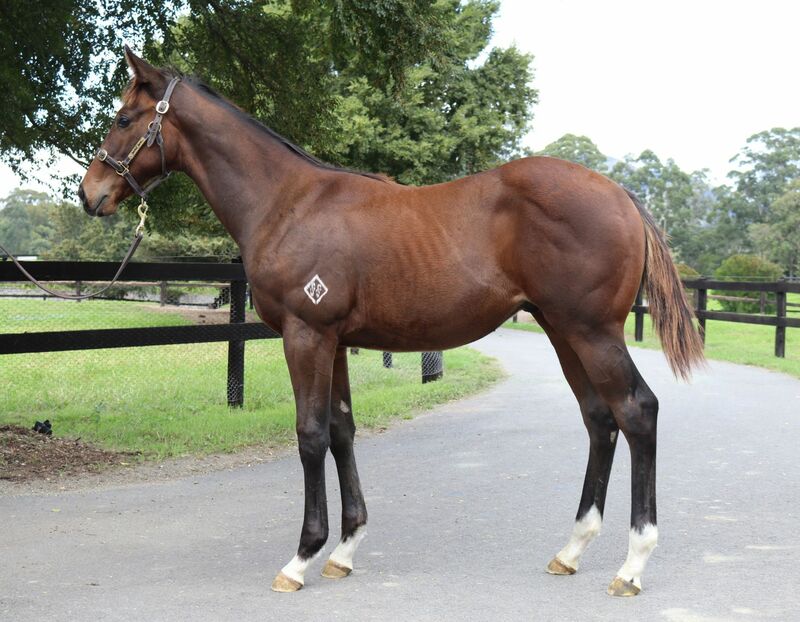 by Denman-Runes, by Redoute's Choice-Eldarin). Maqsad (2016.f. by Not a Single Doubt-Moojeh, by More Than Ready-Tambour). 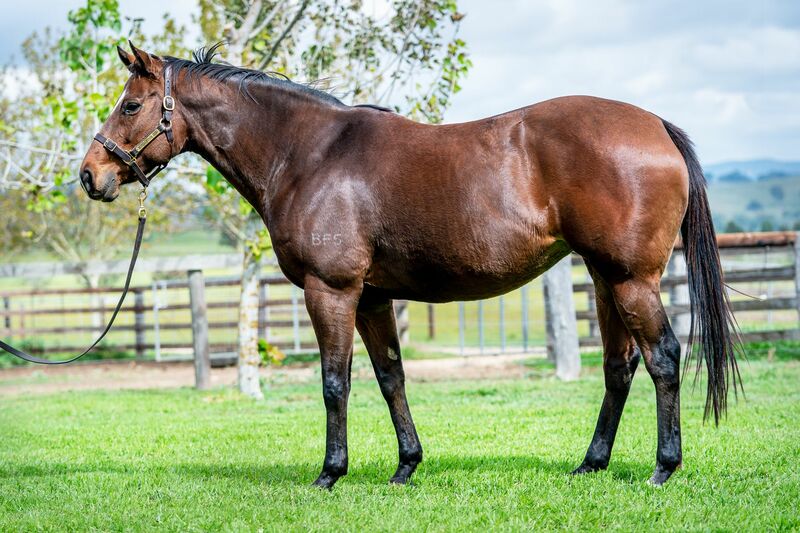 2019-03-27 1st Seymour RC Landmark 2YO Maiden P.
LUNCH LADY (2015.f. by Shamardal-High Maintenance, by Highest Honor-Fabulous Hostess). Autumn Rain (2015.f. by Camelot-Autumn Ember, by Don Eduardo-Blab). 2019-04-08 2nd Scone RC Daracon Group Maiden P.
ANOTHER BROTHER (2014.g. by Attila's Storm-Hang Glide, by Dome-Shes Flying). Chaparral Star (2014.g. 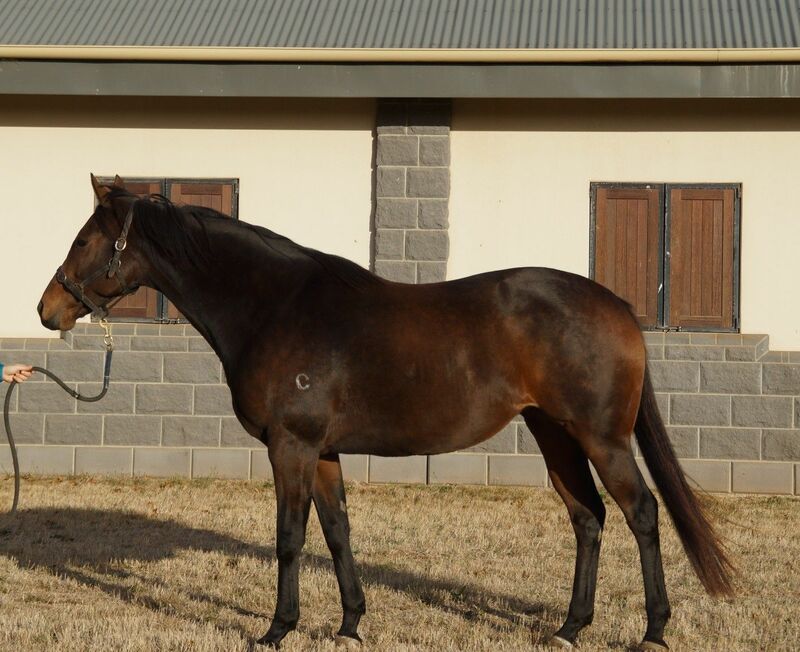 by High Chaparral-Sutology, by Straussbrook-Perspicacious). 2019-03-27 1st HKJC D'Aguilar Peak H.
Absolute Flirt (2016.f. by Stratum-Bisutti, by Northern Meteor-Lamiraqui). 2019-04-22 1st MRC (Sandown) Ladbrokes 2YO H.
Sealed (2015.f. by Dundeel-Petworth House, by Encosta de Lago-Blowin in the Wind). 2019-04-12 1st Cranbourne TC TAB Multiplier Maiden P.
Thoughtful Harmony (2014.f. by So You Think-Special Harmony, by Spinning World-Marooned Lady). 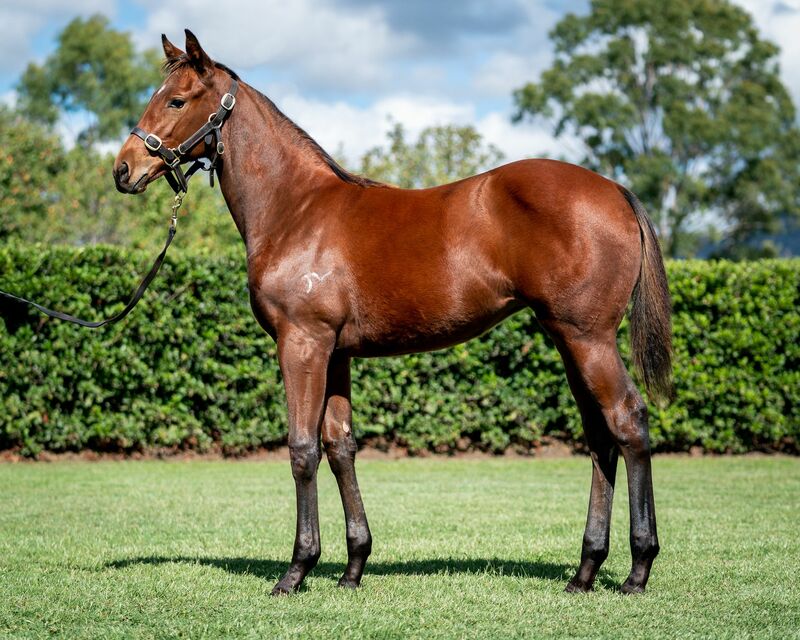 2019-03-30 2nd BRC (Doomben) Castle International Trading P.
Roadrager (2014.g. by Street Boss-Chalk Ridge, by Dehere-Corporate). 2019-04-07 2nd MRC (Mornington) Turnkey Furniture H.
Blankenberge (2015.f. 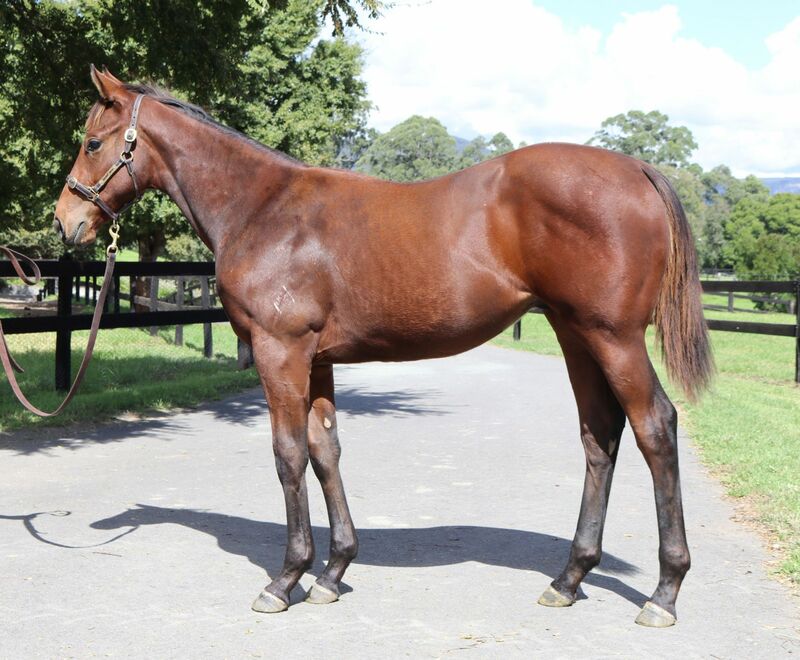 by Hinchinbrook-Chalk Ridge, by Dehere-Corporate). 2019-04-03 3rd Perth Racing (Ascot) Seacorp H.
I Can Stay All Day (2012.f. by Al Maher-Cheyne Walk, by Royal Academy-Lady Liberty). 2019-03-29 3rd Warrnambool RC GM Cabinets H.
2019-04-06 3rd Werribee RC Werribee MG H.
Evening (2013.f. by Snitzel-Cheyne Walk, by Royal Academy-Lady Liberty). 2019-04-10 3rd Ipswich TC (Ipswich) Ipswich Cup Raceday Maiden P.
OH THIS IS US (2013.c. by Acclamation-Shamwari Lodge, by Hawk Wing-Ripalong). 2019-04-19 1st Lingfield Sun Racing All-Weather Mile Championships Conditions S.
Mica Lil (2013.f. by Testa Rossa-Gemstone, by Pentire-Gemscay). Brother Wind (2012.g. by More Than Ready-Paulini, by Singspiel-Timeless Appeal). 2019-04-07 1st Selangor TC Stayers S.
Elraazy (2014.f. by Manhattan Rain-Convene, by Zizou-Chatelaine). 2019-03-31 2nd SCTC (Sunshine Coast) Jim Beam White H.
California Longbow (2015.g. by Pierro-Sarasota, by Danehill-Piccadilly Circus). 2019-04-06 1st Illawarra TC Barrack Point H.
Han Xin - Sun Marshal (Sing.) (2014.g. by Sepoy-Mysterious Light, by Fantastic Light-Cirque du Soleil). 2019-03-29 1st Singapore TC Kranji S.
Beth Rose (2014.f. by Danerich-Gilded Rose, by Gold Ace-Rain on the Roses). 2019-04-20 1st Alice Springs TC Sprint H.
Queen Guinevere (2015.f. by Camelot-Curvaceous, by Zabeel-Twiggy Kima). 2019-03-27 1st Seymour RC JBL Catering Maiden P.
Blinky O'Reilly (2014.g. 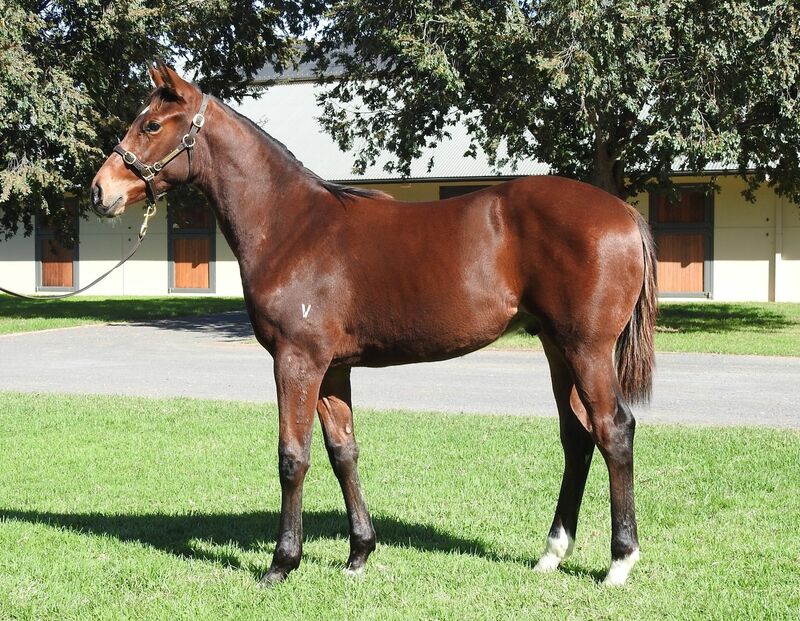 by O'Reilly-Don't Blink, by Redoute's Choice-Snip Snip). 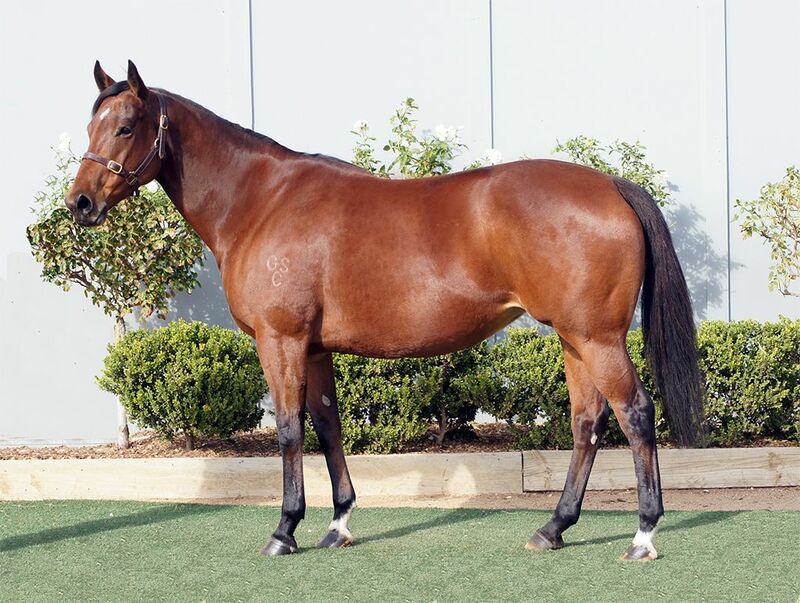 2019-04-12 3rd Wangaratta TC Beteasy H.
BALF'S CHOICE (2012.g. 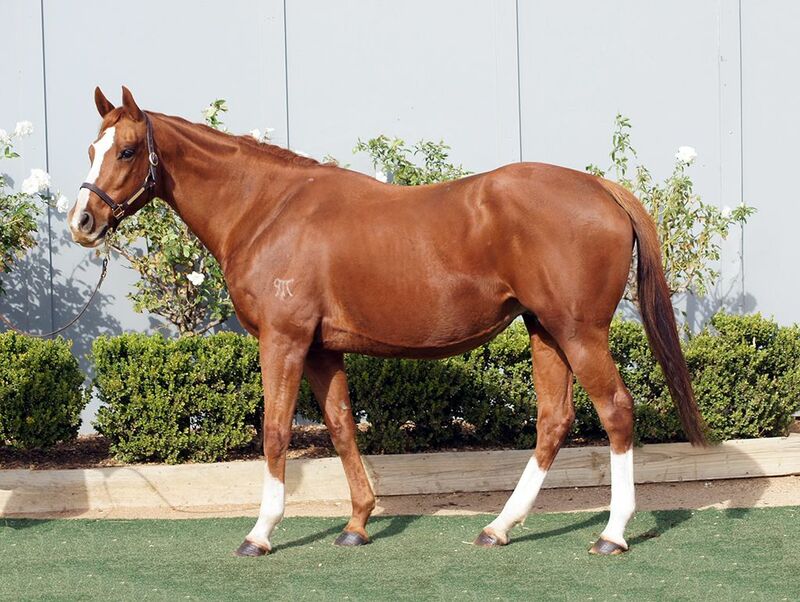 by Written Tycoon-Not Jude's Choice, by Celtic Swing-Queen Kathleen). 2019-03-30 1st SAJC (Morphettville) Maughan Theim Ford H.
Reconnect (2013.g. by Choisir-Dubai Me Diamonds, by Dubawi-Quantum Leap). 2019-03-30 3rd Alice Springs TC Talice Security Services H.
Starry Rose (2015.f. by Maclean's Music-Elrose, by Deputy Minister-Bonnie's Poker). The Mitigator (2014.g. by Master of Design-Charming Ruby, by Rubiton-Infinite Charm). 2019-04-06 1st Te Aroha JC Team Wealleans H.
LUEN ON TREASURE (2013.g. by Dane Shadow-Flying Celebrity, by Success Express-Fast Work). 2019-04-13 1st Macau Salt Lake City H.
Mayan (2016.c. by Nicconi-Crown Agnes, by Agnes World-Seersha). Lucques (2011.g. by High Chaparral-Picholine, by Dehere-Jewel of Africa). 2019-03-26 1st Coff's Harbour RC JandK Jarvis Racing H.
WILD PLANET (2015.g. by Animal Kingdom-Salutations, by Redoute's Choice-Toast of the Coast). Sentimentalist (2014.g. 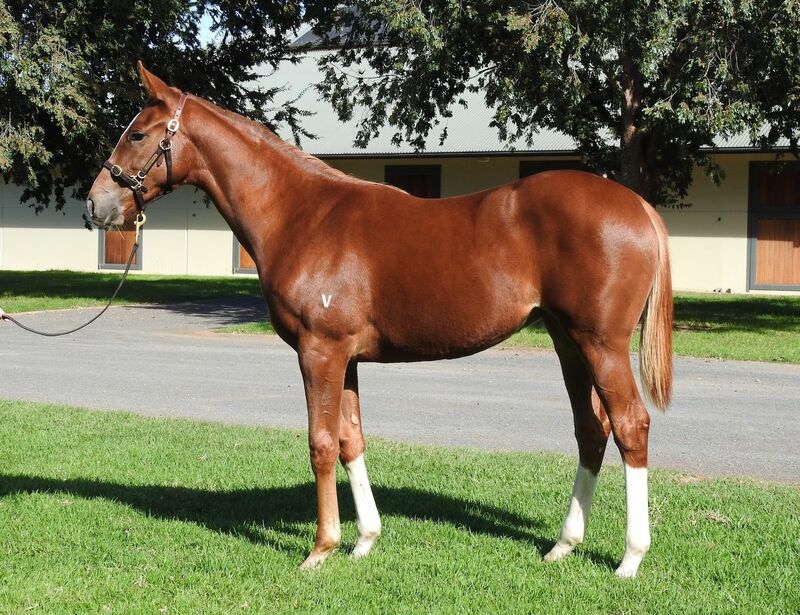 by Written Tycoon-Goldirocks, by Marscay-Classic Parisian). 2019-04-10 1st MRC (Sandown) Big Screen Company H.
Swift Response (2012.f. by Swift Alliance-Glorious Calling, by Royal Academy-Up the Hill). 2019-04-20 1st Flinton RC Kotzur H.
Durbling (2016.f. by Kendargent-Hurbling, by Hurricane Run-Zibeling). Mapili (2015.f. by Snitzel-Tzu Hsi, by Quest for Fame-Visual Emotion). 2019-04-06 2nd Wellington RC Keirles Pharmacy Maiden P.
Etruria (2016.f. by Invincible Spirit-Taranto, by Machiavellian-Magna Graecia). Visibly (2015.f. 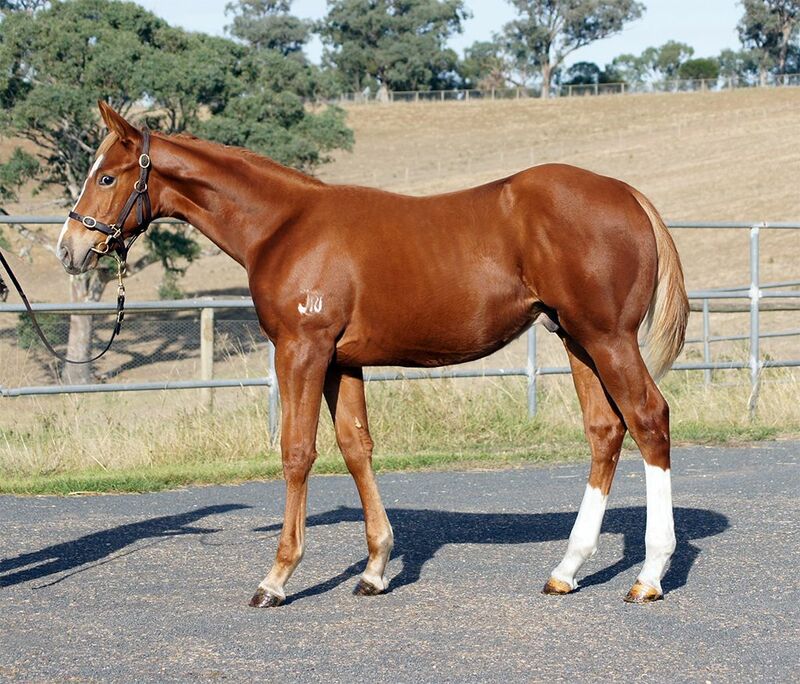 by Sepoy-Vintedge, by Flying Spur-Alternative Edge). 2019-04-11 1st Wyong RC Freddy's Fishing Maiden P.
2019-03-31 2nd Armidale JC Tooheys Extra Dry P.
Ben Hercules (2015.c. by I Am Invincible-Benatar, by Distant Music-Rather Yallah). 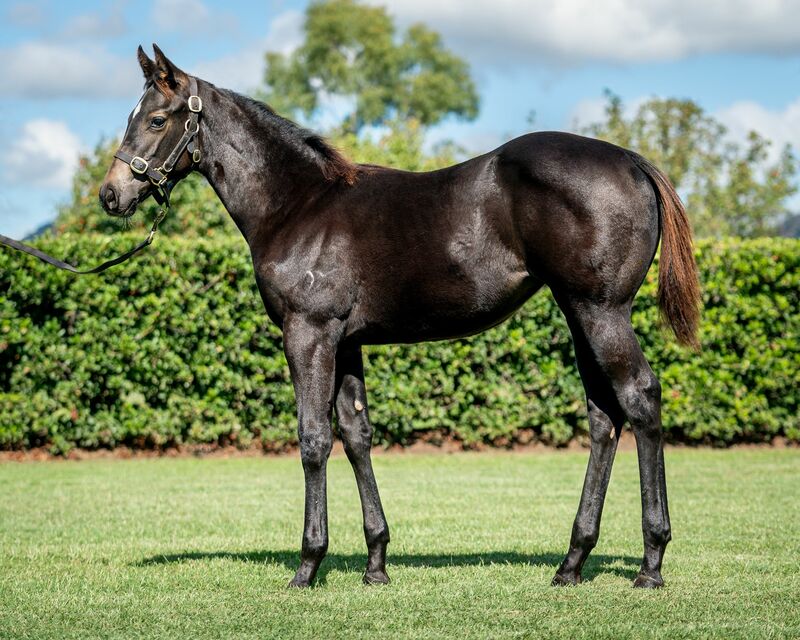 2019-03-24 1st Ballarat TC Porter Plant H.
Paceman - Sunny Dragon (H.K.) (2012.g. by Duporth-Snaps, by Flying Spur-Snapshots). 2019-04-17 1st HKJC Kowloon Tsai H.
HAIKAL (2016.c. by Daaher-Sablah, by Distorted Humor-Teeba). Miss Valencia (2015.f. by Ocean Park-Pastrana, by Fastnet Rock-Patagonia). Meuse (2016.f. 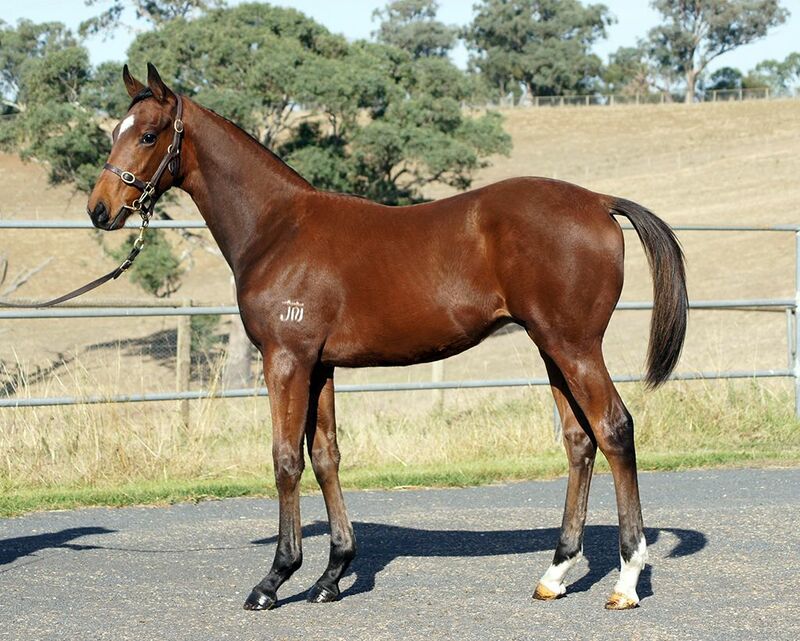 by Snitzel-Precious Lorraine, by Encosta de Lago-Monsoon Wedding). 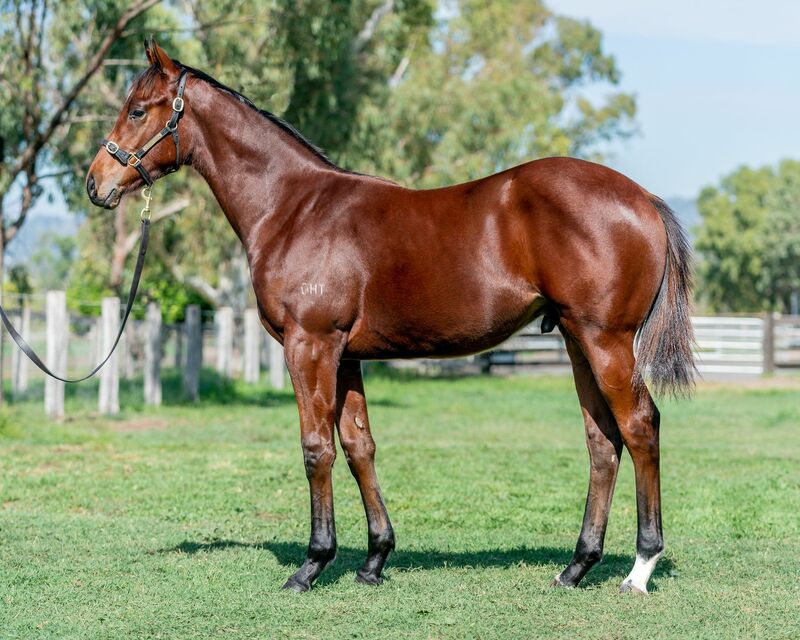 2019-04-06 1st MRC (Caulfield) Thomas North 2YO H.
Sebring's Delight (2014.f. by Sebring-Journey, by Jeune-Hasty Jest). 2019-04-03 2nd South Canterbury RC Beaufort Downs H.
Forgotten Star (2015.f. 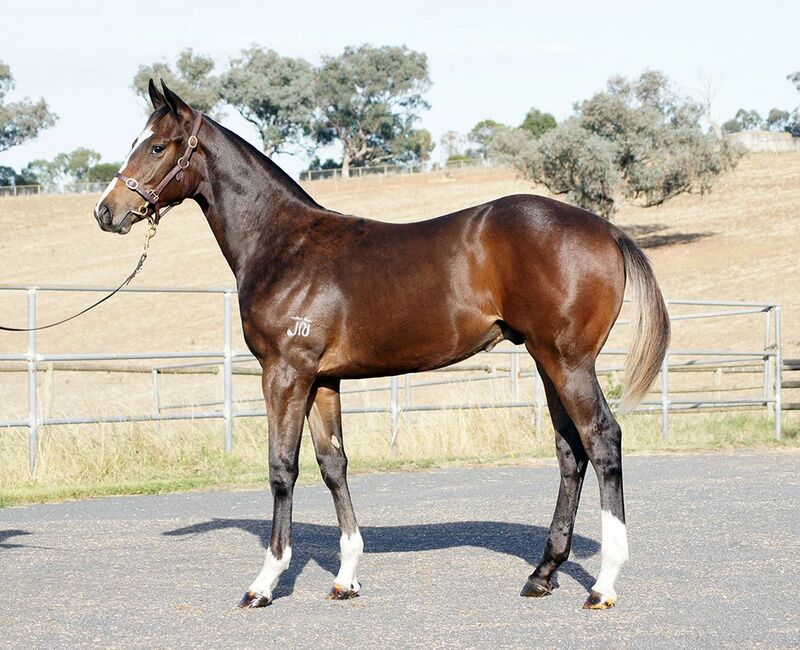 by Star Witness-Miss Begotten, by Redoute's Choice-Diorama). 2019-04-10 1st Perth Racing (Ascot) PSC Insurance H.
Jami Lady (2015.f. by Spirit of Boom-Bevico Girl, by Easy Rocking-Unbridled's Jest). Anna's Joy (2013.f. by Wanted-Rosarino, by Perugino-Rosa's Joy). 2019-04-22 1st ATC (Kensington) Agency Real Estate H.
Caorunn City (2015.g. by Tavistock-Gin City, by Heroicity-Gin Player). 2019-04-11 1st Pakenham RC XXXX Gold Maiden P.
Harrier Jet (2011.g. by Dane Shadow-Borobodur, by Strategic-Daisy Bates). 2019-04-17 2nd HKJC Kowloon Bay H.
Tell Me (2015.f. by Choisir-Sweet Little Lies, by Elusive Quality-Borobodur). 2019-04-06 3rd MRC (Caulfield) Walk for Phil H.
Tunero (2014.g. by Teofilo-Sweet Little Lies, by Elusive Quality-Borobodur). 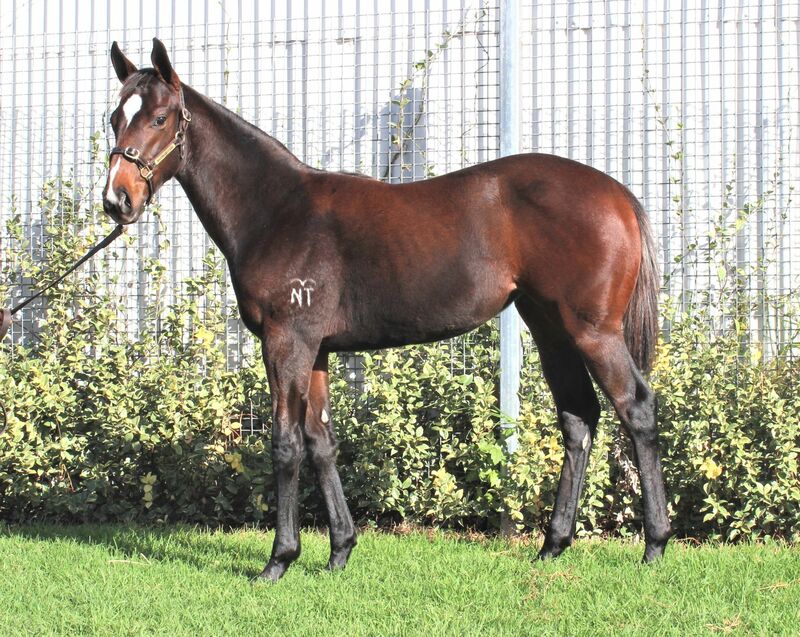 2019-04-13 2nd BRC (Eagle Farm) Become a Member H.
Bonito (2012.g. by O'Reilly-Lafleur, by Zabeel-Desert Lily). 2019-04-17 1st HKJC Tsim Sha Tsui H.
FISCAL FANTASY (2014.f. by Skilled-Villa Igea, by Papal Power-Wycombe). Zabay (2013.f. by Stravinsky-Obey, by Zabeel-Abbaye). Quattro Katie (2015.f. by Zoustar-Kakakakatie, by Zeditave-St. Kate). 2019-03-27 1st Matamata RC Boltholder Maiden S.
VERRY ELLEEGANT (2015.f. by Zed-Opulence, by Danroad-Mulan Magic). JONKER (2015.c. by Spirit of Boom-Hearts and Arrows, by Kempinsky-Villa Igea). Star Status (2015.g. by Medaglia d'Oro-Starmon, by Monolith-Starnui). Springsteen (2016.c. by Stratum-Eebee Pop, by Postponed-Pen Bal Lady). 2019-03-24 2nd Masterton RC Per Incanto 2YO Maiden S.
Mint on Moseley (2013.g. by Mint Lane-Wings of Alice, by Testa Rossa-Easy Virtue). 2019-04-14 1st Pakenham RC Racing.com H.
Thiswilldous (2015.g. 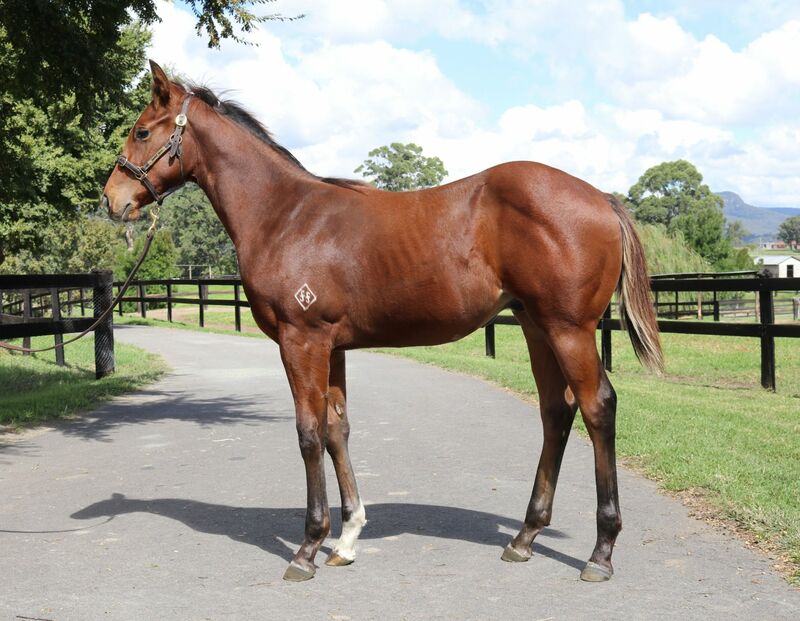 by Zoustar-Princess Layla, by Fastnet Rock-Cathie's Lane). 2019-03-29 1st Muswellbrook RC Prime 7 Sprint H.
Hostwin Shadow (2014.g. by Longhorn-Karliyka, by Last Tycoon-Karlafsha). 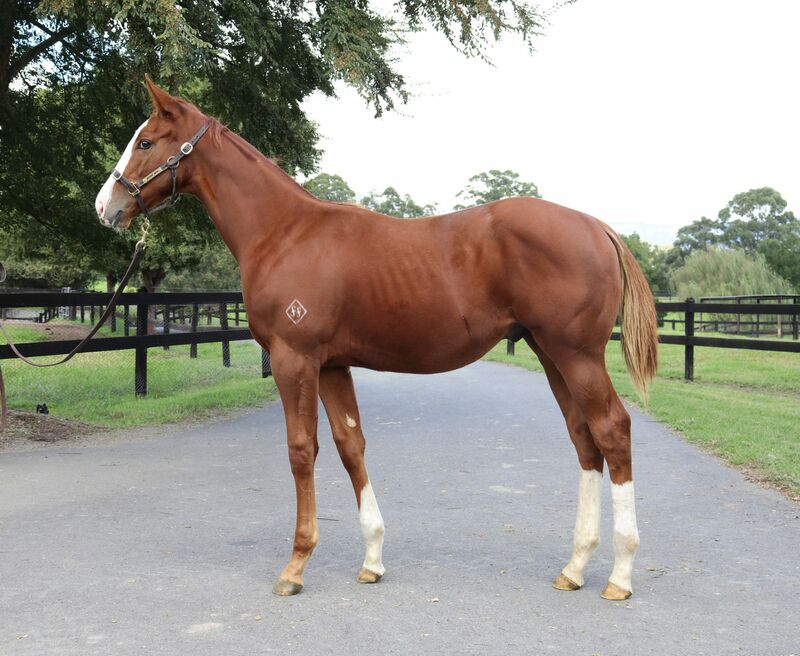 2019-04-16 3rd Hawkesbury RC Robert Oatley Wines H.
Abshiroo (2016.g. 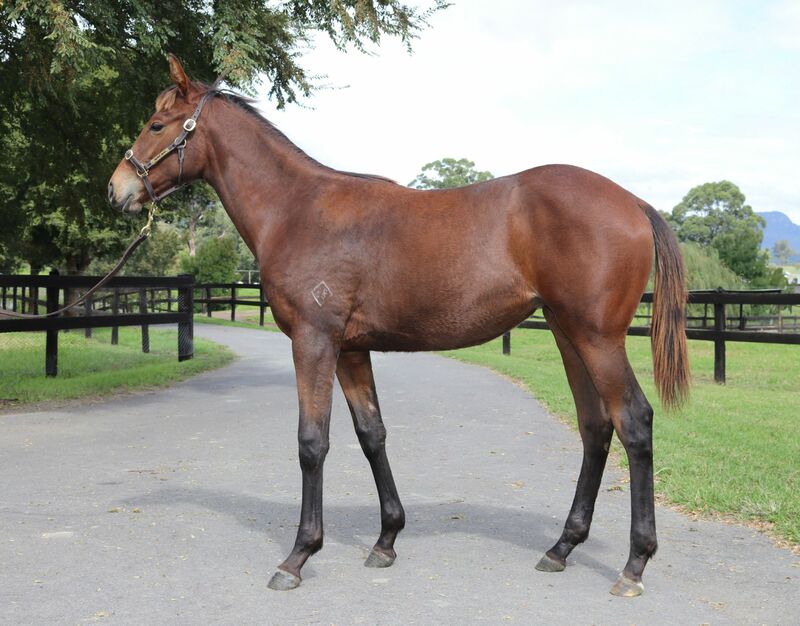 by Snitzel-Fitna, by Fastnet Rock-Carry on Cutie). 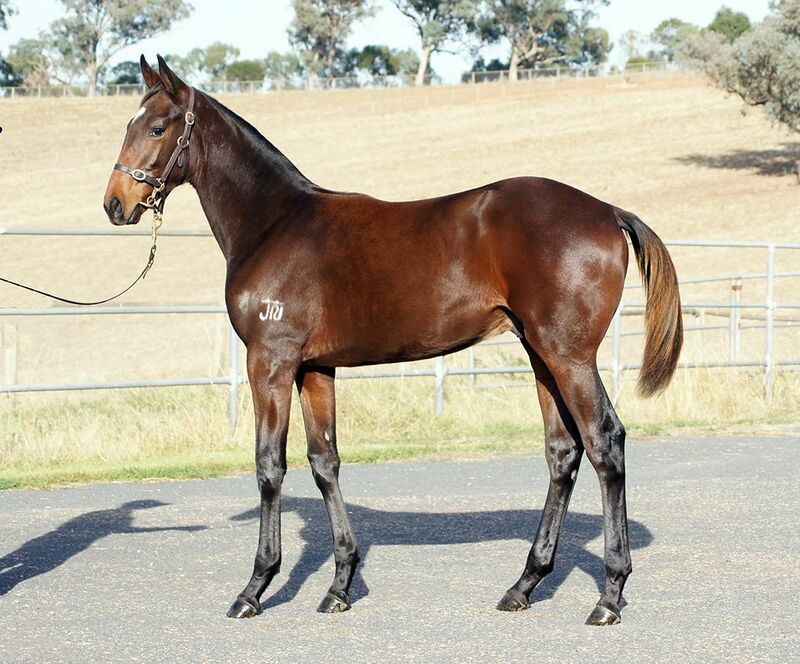 2019-04-22 1st Oakbank RC (Oakbank) Sugar Financial 2YO H.
2019-03-27 1st Strathalbyn RC Northpoint Fleurieu 2YO Maiden P.
Power of Wexford (2015.f. by Snitzel-Kneeling, by Encosta de Lago-Sunday Service). 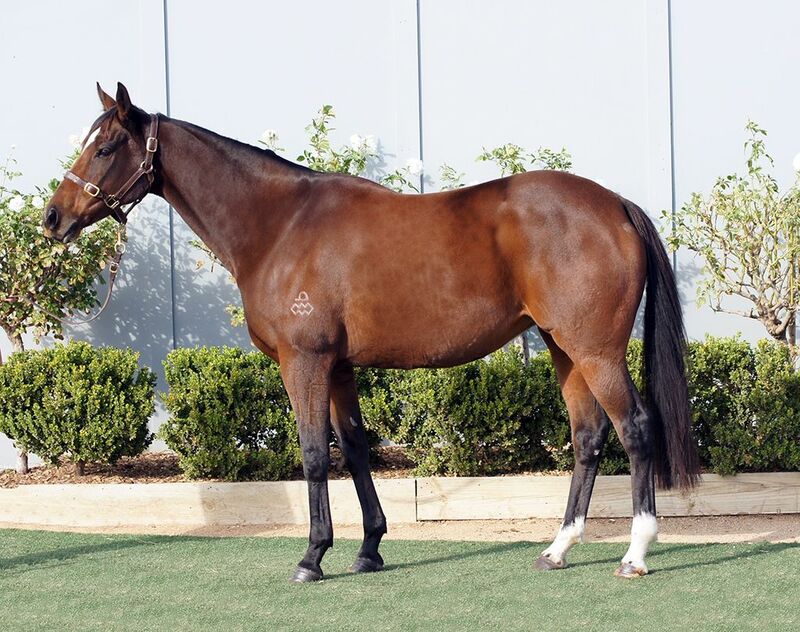 2019-04-22 1st Muswellbrook RC Keldan Commercial H.
SEISMIC WAVE (2016.c. by Tapit-Conference Call, by Anabaa-Phone West). SPRING QUALITY (2015.f. by Quality Road-Dulcet Tone, by Empire Maker-Euphonize). Diamond Oasis (2016.f. by Iffraaj-Belonging, by Raven's Pass-Desired). 2019-04-04 1st Chelmsford City 20 Free Bets at Totesport.com Fillies' Novice S.
Emmy's Our Girl (2014.f. by Harbour Watch-Ragnhild, by Magnus-Viognier). 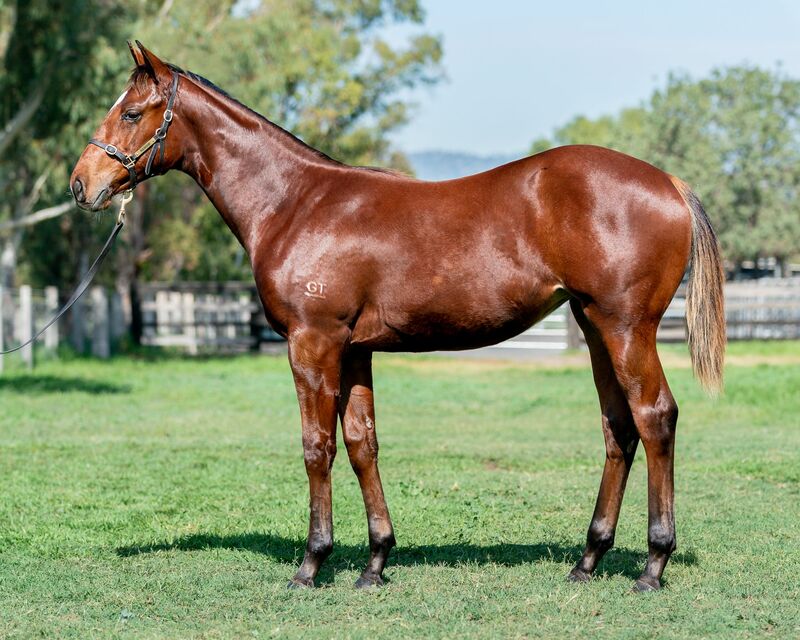 2019-03-24 1st Muswellbrook RC John Deere PVM Country Maiden P.
Beringer (2015.g. by Sea the Stars-Edaraat, by Rahy-Mehthaaf). 2019-04-18 1st Newmarket Coates and Seely Brut Reserve H.
Matterhorn (2015.c. by Raven's Pass-Tanaghum, by Darshaan-Mehthaaf). 2019-04-19 1st Lingfield Betway Easter Classic All-Weather Middle Distance Championships Conditions S.
Bien Venue (2015.c. by Fort Wood-Cio-Cio, by Exchange Rate-Candace in Aspen). 2019-04-09 1st Vaal TC Save the Date 4 May Assessment P.
Esti Fény (2015.c. by Pigeon Catcher-Ejtihaad, by Nayef-Al Durrah). Morgan Blond (2014.c. by Intense Focus-Siansa, by Teofilo-Arjooch). Moyrabella (2013.f. by Makfi-Dr Kate, by Danzero-Zirna). 2019-04-11 1st Otago RC Dunedin City Motors H.
Jackthegiantslayer (2010.g. by Excites-Quaglino, by Rory's Jester-Nile Empress). 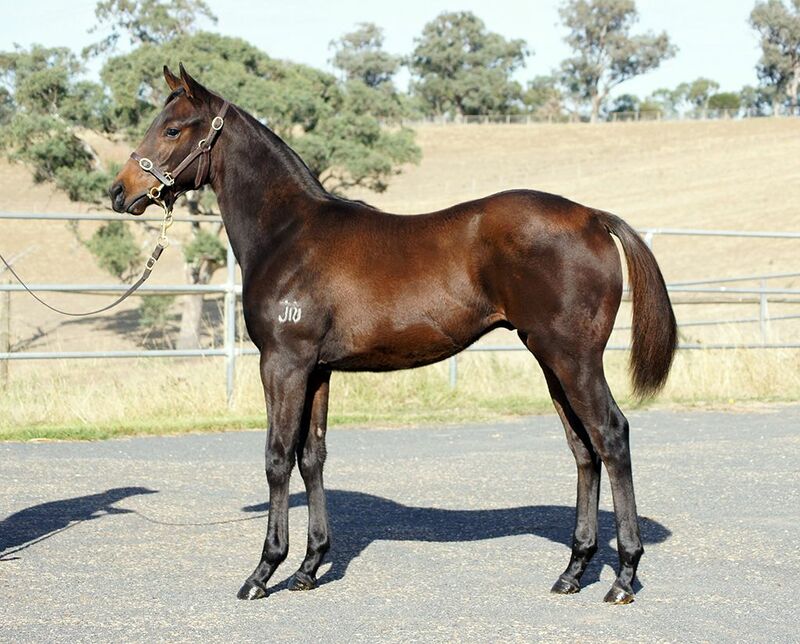 2019-04-12 3rd Mount Gambier RC Carlton Draught H.
Prodigal Son (2012.g. by Duelled-Maybe Yes, by Last Tycoon-Nile Empress). 2019-04-22 1st Rotorua RC Cup Day Saturday May 11th H.
Winter Passage (2015.f. 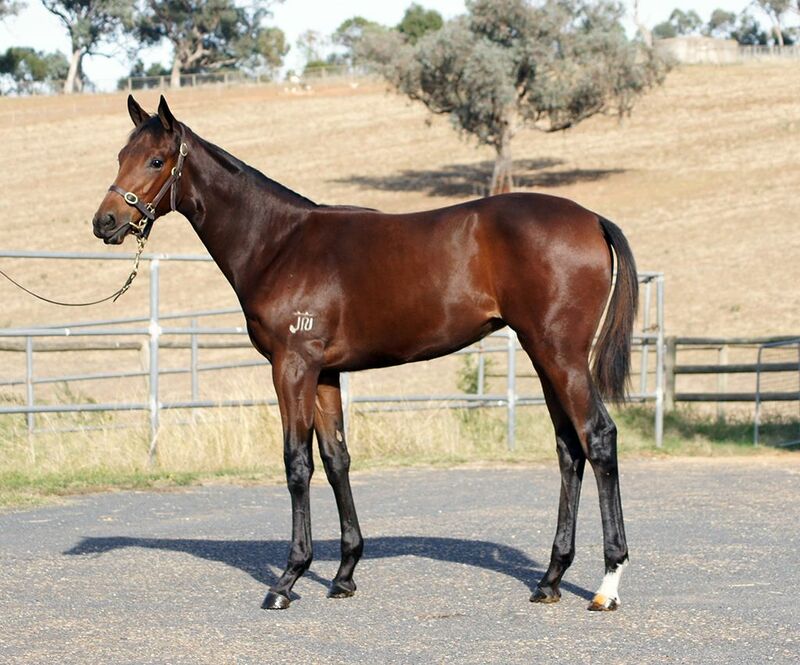 by I Am Invincible-Liatris, by Rock of Gibraltar-Subterfuge). 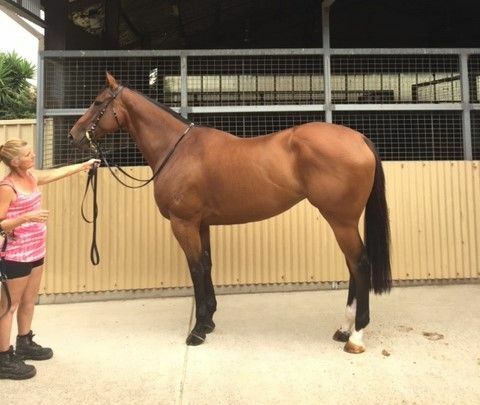 2019-03-30 3rd BRC (Doomben) Conductive Education H.
Tatcee (2015.f. by Foxwedge-Hides, by Giant's Causeway-Subterfuge). 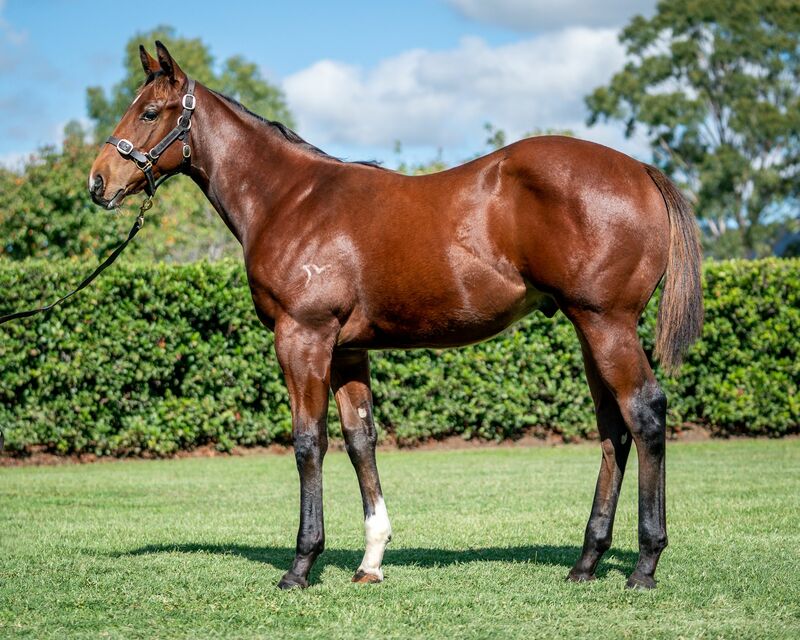 2019-03-23 2nd BRC (Eagle Farm) TAB H.
Skydance Eclipse (2014.g. by Foxwedge-Mothwing, by Encosta de Lago-Subterfuge). 2019-04-07 1st Selangor TC Open S.
Miracle Worker (2014.g. by Stratum-Get to Work, by Snippets-Sequin). 2019-04-13 1st GCTC (GCTC) Tradelink Plumbing Maiden H.
HELLO YOUMZAIN (2016.c. by Kodiac-Spasha, by Shamardal-Spa). Romantic Whisper (2015.f. by Medaglia d'Oro-Love to Tell, by Stage Colony-Kentucky Whisper). 2019-04-13 3rd Newcastle JC Ryan Ansell Investment Maiden P.
MICROPHONE (2016.c. by Exceed and Excel-Sung, by Anabaa-Vocalist). Gem of Scotland (2016.f. by Rothesay-Star of Kristle, by General Nediym-Kristofle). 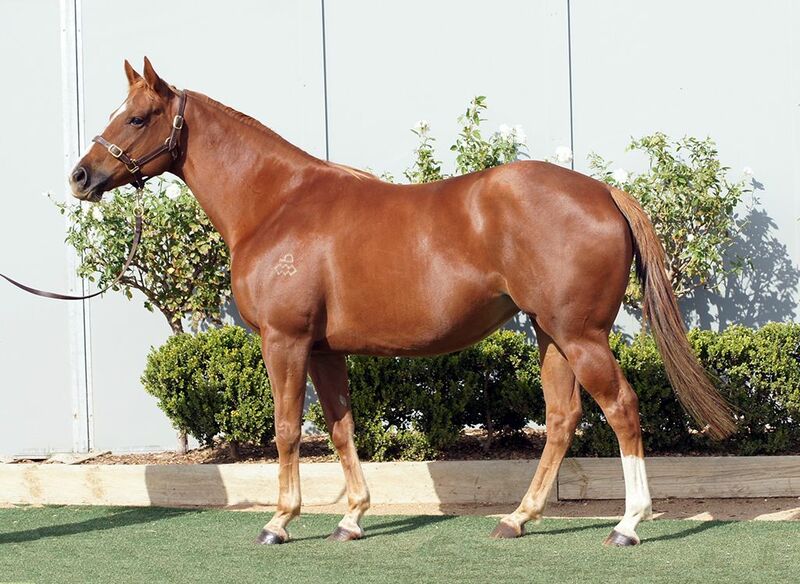 2019-04-06 1st Toowoomba TC Spirit of Boom 2YO H.
2019-04-20 1st BRC (Doomben) Peachester Lodge 2YO P.
2019-03-23 1st GCTC (GCTC) Social Eating House 2YO H.
Cymbalism (2013.f. by Denman-Cymbal, by Commands-Vocalist). 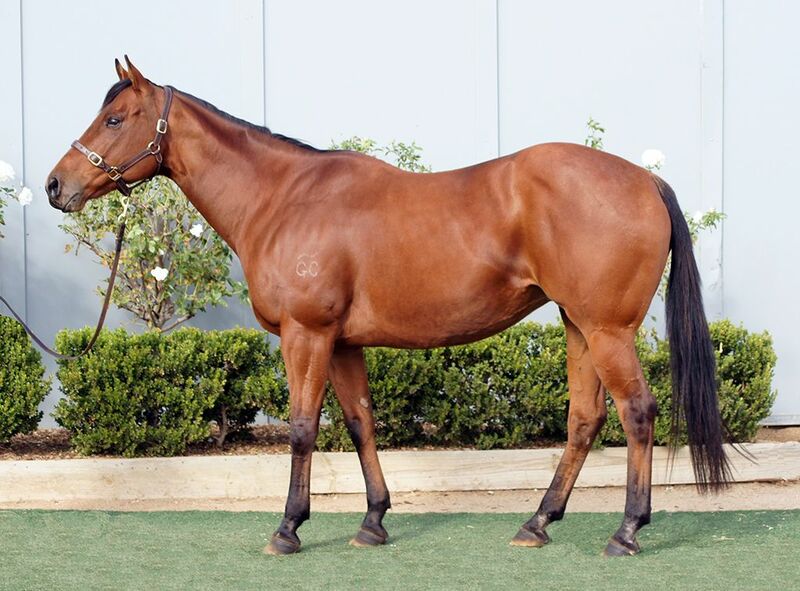 2019-03-30 1st BRC (Doomben) Conductive Education H.
Old Trieste (2012.g. 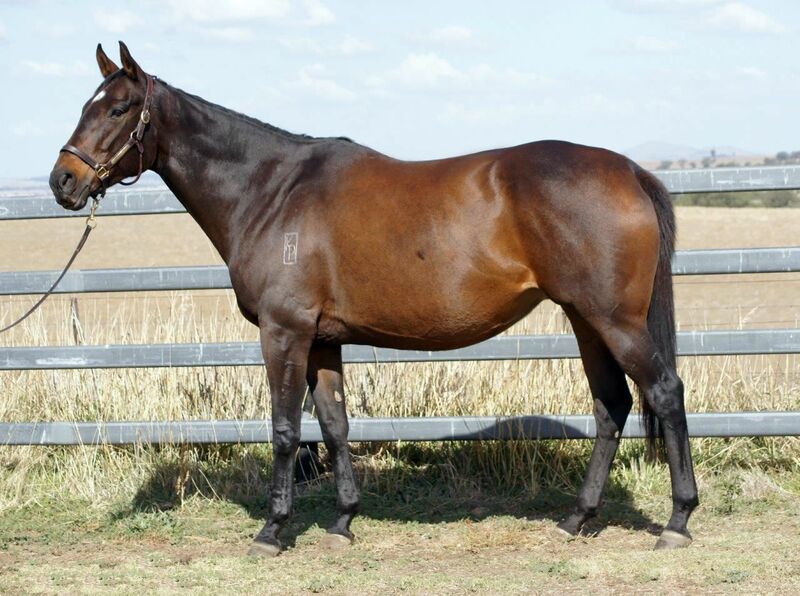 by Hinchinbrook-Love's Great, by Choisir-Explosive Love). 2019-03-29 2nd Ipswich TC (Ipswich) Cup Tix on Sale H.
Excelamour (2014.f. by Excelebration-Explosive Love, by Rubiton-Gay Rosalind). 2019-03-29 3rd Ipswich TC (Ipswich) River 94.9FM H.
GEM SONG (2015.c. by Your Song-Beautiful Gem, by Peintre Celebre-Just Blooming). Purple Sector (2015.c. by Pins-Eden Valley, by Zabeel-Carmel Valley). Noosafy (2013.g. by Magic Albert-Dove Lake, by Flying Spur-River Dove).